The Manchester United legend succinctly shares his view of life through his own drawings and captions, with characteristic playfulness. On the field or off, Eric ‘The King’ Cantona has always been known as an artist. Passionate about painting and photography from a very young age, he more recently took to writing, drawing and sketching out his thoughts in small Moleskine diaries. 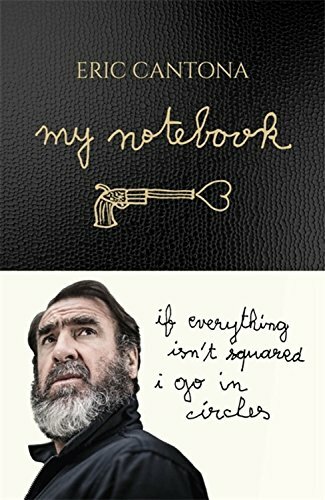 This book is the reproduction of his notebooks.Through these never-before-seen drawings, in his faux-naive style, Eric Cantona questions every aspect of the world around us – whether it’s love, death, absurdity, or society. 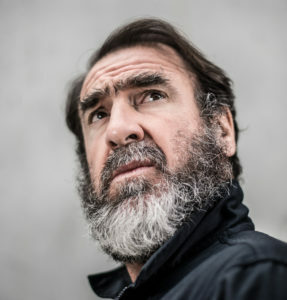 With his trademark wit and wordplay, Cantona interrogates our paradoxes and contradictions, and the absurdity of the world as only he knows how. These notebooks are as funny as they are poetic and philosophical. But foremost, they’re an ode to living, loving, sharing, and contemplation.